Abu Jandal al-Kuwaiti, the commander of the Islamic State’s (ISIS) military operations in Raqqa, was killed along with a number of his escorts when a US airstrike hit their convoy on Tuesday morning. “The ISIS convoy was hit near the Jaabar town in western Raqqa,” a spokesman for the Kurdish-led Syrian Democratic Forces (SDF) told ARA News. “His death was one of the most painful blows to the group especially amidst the US-backed SDF progress towards Raqqa city, ”Syrian journalist Mustafa Abde was quoted as saying . This comes just hours after the Syrian Democratic Forces expelled the ISIS radical group from the key town of Jaabar, which was used by ISIS as a supply route between the city of Raqqa and its northwestern countryside. 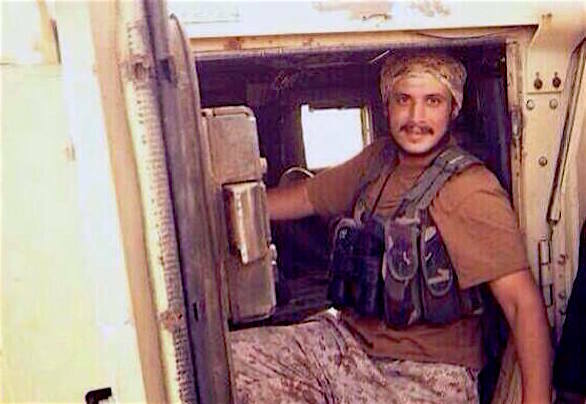 A senior U.S. defense official confirmed that Abu Jandal al-Kuwaiti was killed by a coalition airstrike in Syria on Monday. The official said that al-Kuwaiti was killed near Tabqa Dam. No other details were available. If there’s anything that has been ‘feared most’ by a majority, it’s that Daesh-bags get their hands on damns – because they ARE insane enough to blow them, and then whole populations, out of existence.